A thirteen-year-old girl comes to me week after week with a litany of complaints about social media. She doesn’t like the way her friends act on Instagram. She doesn’t like it when people unfollow her because they’re mad about something, only to follow her again a few hours later. She’s hurt when she isn’t called out as part of the group, and she hates it when she sees the group photos from weekend plans she wasn’t invited to. Mean comments maker her uncomfortable.The truth is, she doesn’t like who she is or how she acts on social media. She wishes it didn’t exist. It’s a simple question, and yet she’s silent. She hasn’t thought about possible solutions to the problem because the problem is so overwhelming. What follows is a lengthy discussion on what she can do to improve the way she, and perhaps some of her friends, use and interact with one another on social media. She starts a “sprinkle kindness” campaign with a few close friends. They agree to leave at least five comments per day, especially on posts where they see unkind comments. Kids are often conditioned to believe that they need adult help with complicated social issues, but it’s essential to empower our girls to act as change agents. Does sprinkling kindness in one small school community solve the larger issues of cyberbullying and relational aggression? No. But it’s a start. And kindness has a way of spreading. It’s up to us to empower our girls to act as change makers. When we ask them how to solve a problem instead of telling them what to do, they internalize the message that they have the power to make positive changes. Girls often tell me that when they do volunteer for something, it’s planned by their parents. When I asked one group of girls where they would donate the money from a lemonade stand, twenty girls gave me twenty different answers. 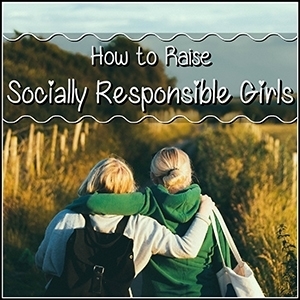 To raise socially conscious girls who not only think about others but who also answer the call to help others, it’s important to ask them about the causes they want to support. When we listen more than we talk, we inspire our girls to take the lead. Even if your daughter doesn’t use social media yet, it’s a good idea to talk about it. The fact is that many young girls are faced with all kinds of social dilemmas through social media, and it’s difficult to know what to do. We don’t have to fear social media use among girls. If we talk to them about responsible social media use, they learn to use social media for good. Ask before you post. It’s always a good idea to check with your friend before you post a picture. Never use photos, captions, or comments to embarrass or hurt others. If you notice other girls doing this, speak up, ask for help, and leave kind comments for girls who might be hurting. Use social media to promote positivity and kindness. Many girls struggle to talk about complicated topics, like social media negativity, with their parents. Make sure to factor in plenty of 1:1 time when you and your daughter have uninterrupted time to connect. Girls encounter any number of moral dilemmas and complicated issues at school, in the community, and online. While encouraging community service helps broaden their worldview and increases empathy and compassion, it’s also important to talk to girls about socially responsible thinking on a micro level. Use role plays at home to practice standing up to relational aggression, asking for help when something is too overwhelming, figuring out what to do when other kids make unethical decisions, and assertiveness skills. As a parent of a young girl, I know the pull to want to protect her from the hard stuff, but I also know that when I empower her and guide her to work through these difficult situations, she gains confidence and learns that she can make a difference. 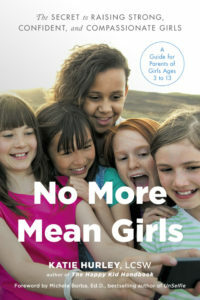 Katie Hurley, LCSW is the author of The Happy Kid Handbook: How to Raise Joyful Children in a Stressful World (Tarcher/Penguin) and the highly anticipated No More Mean Girls: The Secret to Raising Strong, Confident, and Compassionate Girls (Penguin Random House, January 2018). 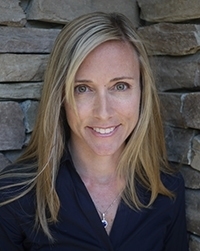 Hurley is a child and adolescent psychotherapist, writer and speaker in Los Angeles, CA. Katie earned her BA in psychology and women’s studies from Boston College and her MSW from the University of Pennsylvania. She has extensive experience treating children and adolescents with learning differences, anxiety and low self-esteem. She is also trained in Play Therapy. Katie’s work can be found in several online publications, including The Washington Post, PBS Parents, US News and World Report, and The Huffington Post. Katie is the author of “ The Happy Kid Handbook: How to Raise Joyful Children in a Stressful World” (Tarcher/Penguin) and the highly anticipated No More Mean Girls: The Secret to Raising Strong, Confident, and Compassionate Girls (Penguin Random House, January 2018).